It’s been a relaxed start to #30dayswild. 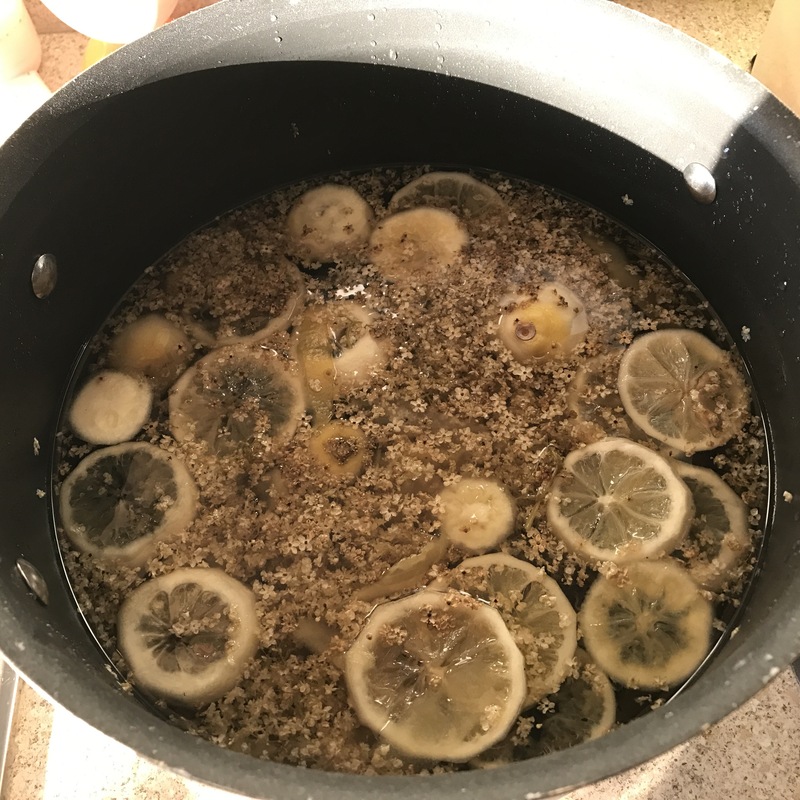 My main random act of wildness for today has been to make elderflower cordial. 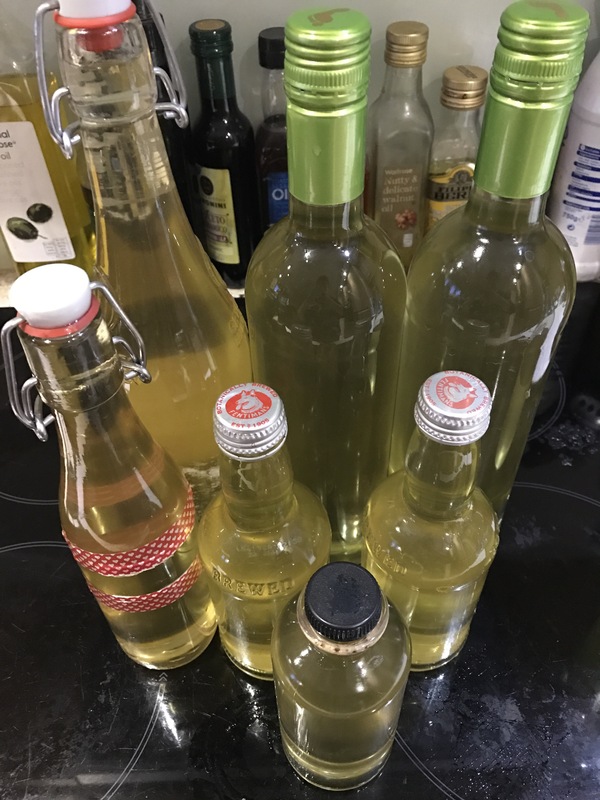 The elderflowers are earlier this year and I wanted to bottle the sweet, heady taste of summer before it’s too late. 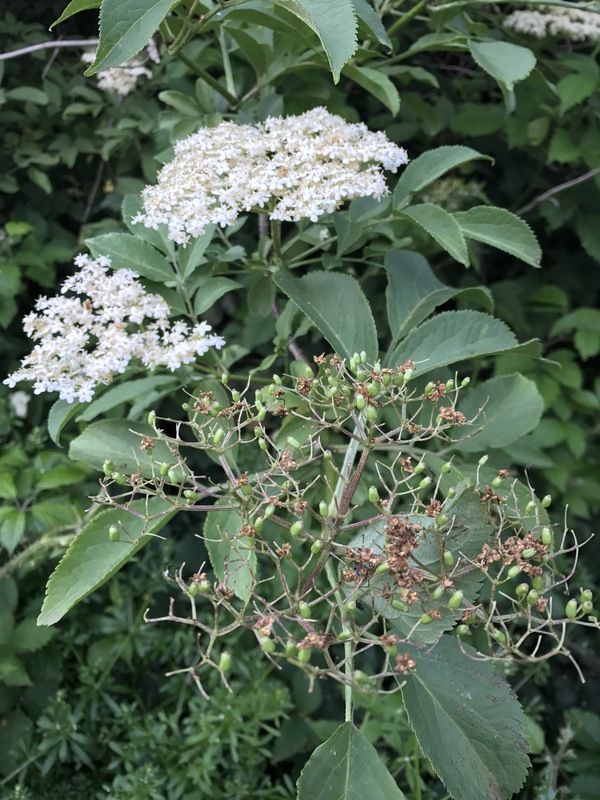 Last night I walked out before tea to our nearest elder, just the other side of the woodland copse, along the road, within half a mile of home. 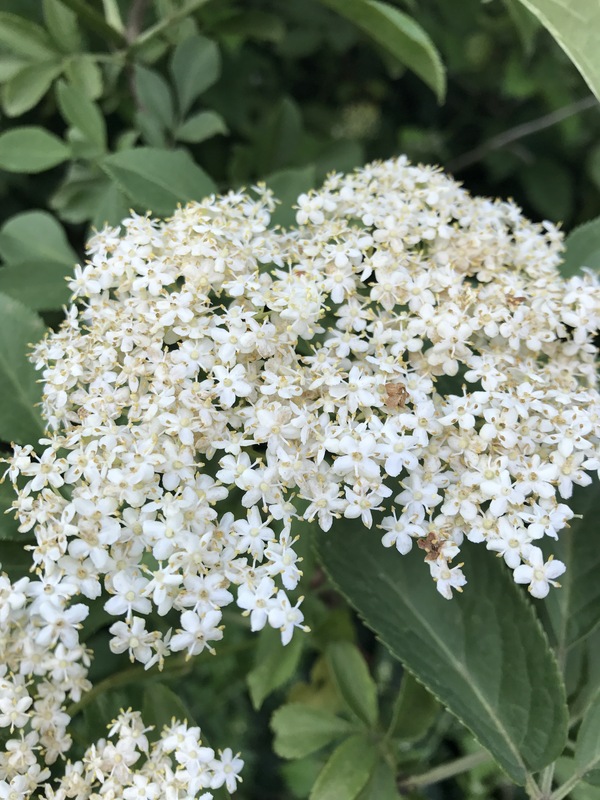 Some of the flowers had already gone over and elderberries were forming, but there were enough heads of creamy sweet flowers left for cordial making. 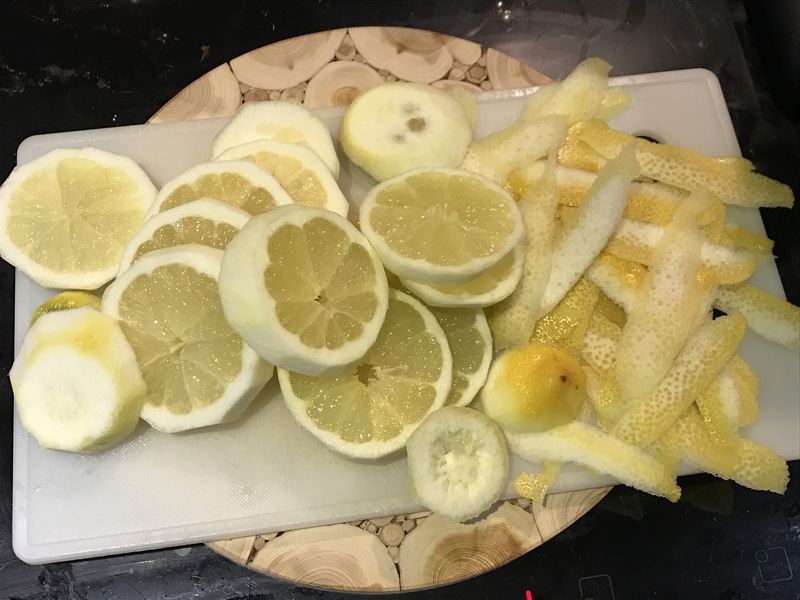 The kitchen filled with the sweet scent of elderflower, light and delicious and I left the mixture to infuse for 24 hours. This evening it was ready to strain and bottle. 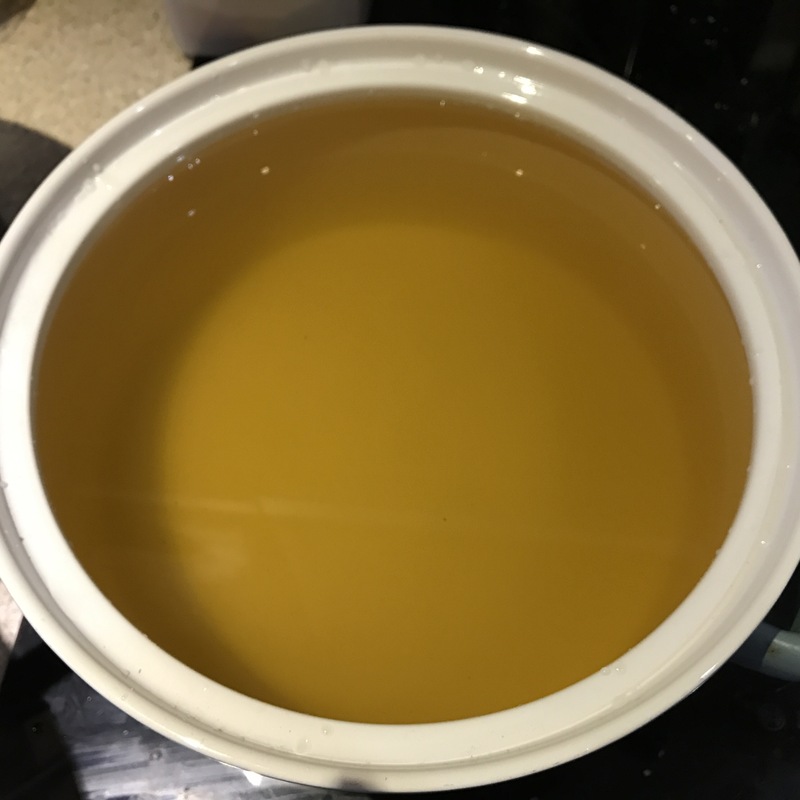 A deep glowing yellow colour in the pan, looking golden once bottled. This is pretty much the easiest foraged food recipe I use and it turns out beautifully every time. The rest of the month will be filled with cocktails, mocktails and slushies made from the cordial. 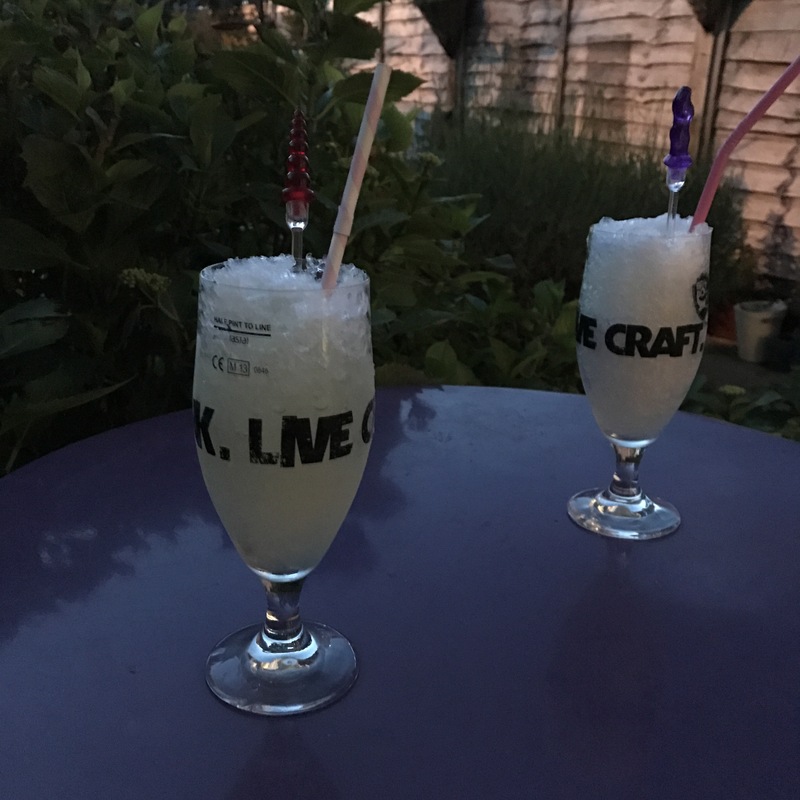 Strained and bottled it had to be tried, so our day finished with elderflower slushes in the dusky garden. 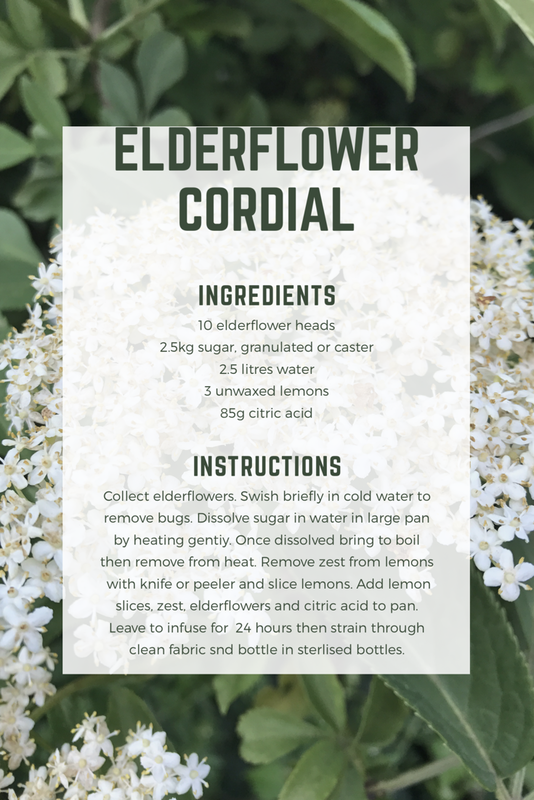 Look out for elderflowers and make some for yourself- delicious and easy, for me it’s summer in a bottle! Oh no! Get out there quick, apparently you can freeze the flowers and then use for champagne making if you can’t use straight away, I’m sure the same must be true for cordial.